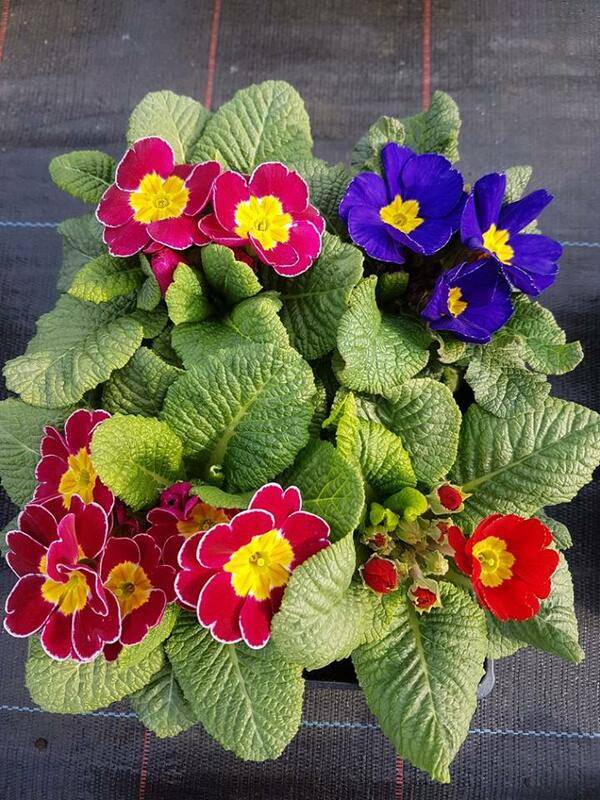 Primrose four pack – It is a perennial growing 10–30 cm (4–12 in) tall, with a basal rosette of leaves which are more-or-less evergreen in favoured habitats. The leaves are 5–25cm long and 2–6 cm broad, often heavily wrinkled, with an irregularly crenate to dentate margin, and a usually short leaf stem. The delicately scented flowers are 2–4 cm in diameter, borne singly on short slender stems. The flowers are typically pale yellow, though white or pink forms are often seen in nature. The flowers are actinomorphic with a superior ovary which later forms a capsule opening by valves to release the small black seeds. The flowers are hermaphrodite but heterostylous; individual plants bear either pin flowers (longuistylous flower: with the capita of the style prominent) or thrum flowers (brevistylous flower: with the stamens prominent). Fertilisation can only take place between pin and thrum flowers. Pin-to-pin and thrum-to-thrum pollination is ineffective. The primrose is one of the earliest spring flowers in much of Europe. “Primrose” is ultimately from Old French primerose or medieval Latin prima rosa, meaning “first rose”, though it is not closely related to the rose family Rosaceae.